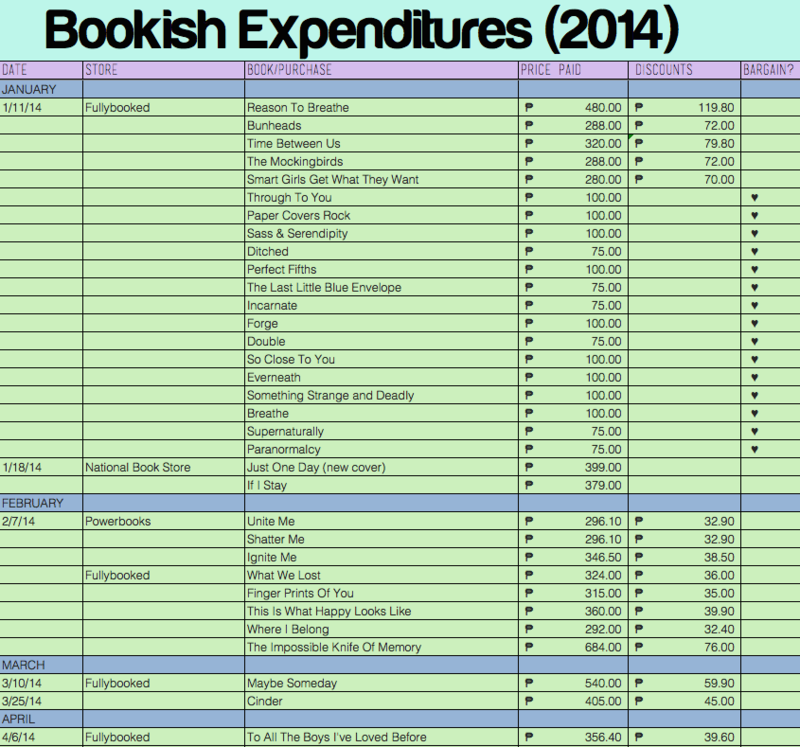 Here comes a topic I’ve been wanting to discuss on the blog for sometime now: bookish expenditures! You guys know I love buying books- as proven by my usual book haul posts. And I know you guys love book shopping just as much. 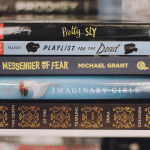 Digging deeper into our book buying tendencies, I was wondering: how do bookworms spend on books? Yep, I’m asking how not how much. Because we all know the answer to that is A LOT. Right now, I’m an eighteen year old college student and my weekly school allowance comes mostly from my parents. I know that some people are already making money for themselves by working part-time jobs at my age, but that’s not the case for me. However, I do have my design shop business and that’s where a big part of my budget for books comes from, aside from the money I save from my allowance. A break down of how I budget my money to make way for my bookish expenditures would probably be like 35% books, 50% food & necessities and 15% other things I buy! The real reason I wanted to discuss bookish expenditures is because I’m quite keen on mine to the point that I have a record of the money I’ve spent on books. I only started jotting down and calculating my spendings on books because I spent too much last year and earlier this year too and I ended up with no savings at all for a month. My mom noticed this and pretty much tried to impose a book buying ban on me (but I keep breaking it of course- sorry, mom!). I guess keeping a spending record is my way of monitoring and possibly controlling my book buying. My bookish expenditure organizer/record! Click photo to open bigger version. 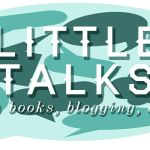 So how do I record my bookish expenditures? I use an excel organizer that I’ve customized (with pretty colors and everything of course!) and keep account of the physical books I’ve bought per month, where and when I bought them and how much I got them for. I also make a note of the discounts I get (through my bookstore discounts cards or through sales) and which books I bought for cheap bargains. Summaries of expenditures and savings! Click photo to open bigger version. On the right side of my organizer, I have a summary of expenditures where I monitor my total spendings per month as well as the whole year. I also mark down how many books I’ve bought throughout the year as well as how many of them are bargain books. I also calculate how much I’ve saved through book sales and discounts. As you can see from my records, I’ve bought less books (compared to January) throughout the rest of 2014. There are several reasons why: a) My TBR pile is already too crazy. I want to chop it off before I buy more books. b) I really don’t have much space in my shelves anymore. c) I feel guilty when I’m at the bookstore (see first bullet) and end up buying nothing as of recent. d) I’m saving up for next month because MIBF!!! 5) The books I really want to buy are not available at my local UGH. I have a tendency to only spend on books when I get good deals – I love sales. I really do. I rarely buy books online – The wait is so long and I’m dubious whether my package will arrive in a good condition. Besides, I love book shopping at my local bookstores! I spend more on paperbacks – Okay, you can’t see that on my organizer since I haven’t added a column to monitor this but you can observe the prices. The 300-500php ones are paperbacks while the rest are hardbacks. Since I’m a cheapskate, I prefer spending on paperback copies rather than hardbacks. I only buy hardbacks when a) There’s no copy in paperback and I’m dying to read. b) I reaaaaally love the author. c) But mostly reason a! How about you? Do you budget your money for buying books? 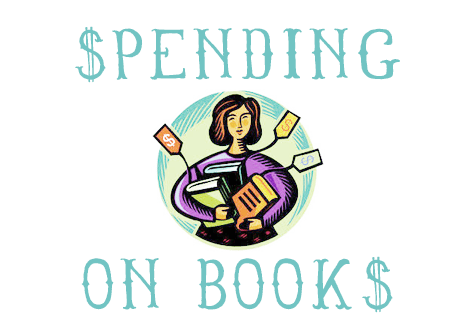 Do you keep a record of your bookish expenditures? How do you spend on books- any sort of notable habits? I don’t exactly budget how much I spend on books, because I’ll end up breaking it, but I break up my allowance/what money I get (like if I sell something and I get a good chunk of money, I’ll break that up too) into a 30/20/50 system. 30% goes toward subscriptions I have such as Spotify and hosting my website as well as Netflix, etc. 50% I can spend on whatever. Basically here is where I’ll buy my books. My parents don’t really make me pay for anything so the 50% is essentially my books/ebooks/theater tickets/etc. I would probably just keel over and die than make my own graph about my spending. I can’t handle graphs and lists but that doesn’t mean this is not a good system, Hazel. *cheers* Budgeting makes me crazy. I just lump all my excess money and buy all the things, which greatly contributes to why I’m poorer each time I go to a mall or a bookstore. Lol. You’re more mature than me, Hazel, but I’m apparently older than you. Hee. My mom is trying to teach me how to budget to no avail that’s why she has all my money right now. Sigh. I have an annual book buying budget of $20 (yes, you read that correctly lol). I get 99.9% of my books from my amazing local library :) So books don’t factor in at all into our household budget. I think I’m going to start keeping taps on what I’ve bought. I’ve never before because it’s never an issue. I think I might though because I have too many unread books and that’s not reason enough to stop me. This is awesome! I personally don’t organize my book spendings separately as I manage all my spendings at once, if that makes any sense. Guess I have a somewhat clue as to how much money goes each month. Paperbacks are great! I wish they were released at the same time as hardbacks to be honest..
Good for you for tracking all of that stuff! I kind of had the same problem…last year and the beginning of this year, I spent SO MUCH MONEY on books. So now I’ve really taken it upon myself to keep track of what I’m spending and where (with all my purchases, not just books), to make sure that I’m not going overboard and that I’m leaving enough money for the essentials. I think that, in August, I only bought like three books! That’s so huge for me…it’s probably been at least a year since I purchased only that many in one month! Wow. I need you to come to my house and give my entire life an overhaul. Seriously, this is impressive. I overdraw from my account on the regular, so I should be taking notes! As for how I spend… ugh. Like you, I LOVE a deal. So if it is a deal, I am probably grabbing it. But I do buy most of my books online, mainly because we don’t have any local bookstores. And the closest one we do have is a really expensive chain store. But I definitely overspend, considering I have tons of books I still need to read, yet keep buying more! I try not to get involve with my receipts…because they break my heart. How can you even stand to look at them? HAHAH I hear my heart break even more…oh my poor wallet. What a neat idea! I think it will really shock me though. The only thing I use is a GR shelf called ‘buy-gifts-YEAR’, but it might be a fun idea to record this next year. Thanks for the idea, I really like making lists, haha. BARGAINS. I seriously can’t resist a good deal. I wish I was as organized as you, Hazel, but I don’t think I could jot down each book I bought on an excel spreadsheet. I probably will keep it up to date at first but then I’ll probably be like whatever I’ll just buy all the books and not record it on the spreadsheet lol. I love buying books when it’s on sale too! I usually buy my books on Amazon, Target or B&N (online). Hazel, your post is awesome! I’m an organizer at heart, so I definitely love seeing how others keep themselves organized in various areas of their life. I’ve never considered keeping a book expenses file before, but now you’re making me think that it might just be a good idea to start! I didn’t budget myself last year, and my pay-check tells me how much money I’ve made total and then when I compare that to the money in my bank account, I feel so bad. (One of the lucky few to have a part-time job, but sadly my parents now give me no allowance) I think I’ve spent WAYYY too much on books this year and while I love buying books, I have too many unread to need to buy more! So this year I made a spreadsheet, and I’m also keeping track of which books I borrow from the library, and I hope this year will go better for me.